But You can also use the engine electric from Tagora 2,2 it is the same. Mmmm... the schematics Bart pointed to, are from an early 1.6 (with vacuum warning light instead of choke warning light and a different oil level warning system). It looks like there a fault in the original drawing, too. I can remember Roy said that in the past. 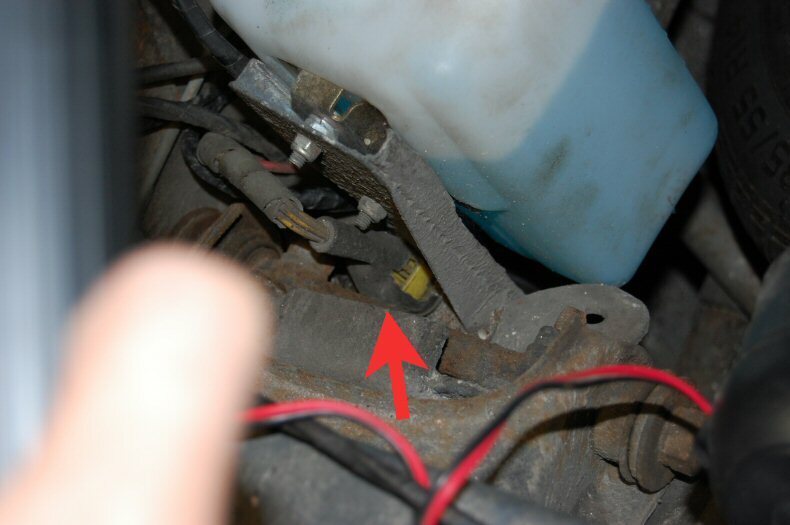 What electrical connections are there in the engine bay? It mustn't be that hard I guess? These two are one fat wire directly to/from the battery. Never fuse this! 2. ignition circuit (coil and module), and a wire to/from the Hall sensor on the flywheel I think? Only +12V from the ignition key (circuit 10). Yes, that's wired to the ignition. These are seperate and not part of the engine wiring loom. Physically they are routed on the fire wall. and a separate wiring loom to the rear light units. Have I forgotten anything? Yes: Reversing switch (rear lights) and minus on the ingition coil to drive the rev counter. (*) If the schematics are correct, the rear window heater itself is unfused, only the circuit that feeds the switch, warning light and the relay are protected! Oh no, there is a fuse, but the diagram is wrong! 1. Replace connector CC6 in the front. 2. Replace connector MC2 in the engine bay. I am not going to replace wire #10 everywhere, just the part that was hurt by the short circuit 2 years ago, which should have been replaced then! For the winter, I think I am going to remove the dashboard and replace/repair the wiring inside, since it is quite a mess there as well. Some idiot made a separate switch and ran a separate wire for the windscreen washer instead of finding the fault and leave the original wiring! Also, I am studying on a new fuse board, because that is a source of trouble on all Murenas. There are many things I don't understand that are left out (well, of course I understand: cost cutting), e.g. a relay switching the #10 wire instead of the ignition key, leaving the headlights unfused, etc. Yes, that's corrosion. It happens when a large constant current flows in an electric circuit and moisture gets into the housing. It's working the reverse of a battery, so to speak. 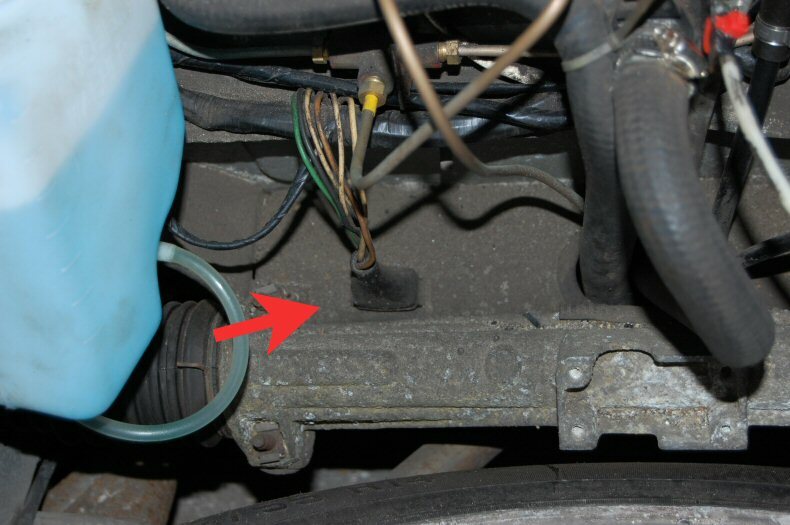 When the connectors then start corroding, the resistance increases and heat builds up. That's why the housing is slightly burnt. The best way to prevent it is to clean and grease the connectors well. I haven't found connector mouldings that fit in the original cutouts. The original male connectors have some very nice tabs that fit into the cutouts, but if the old mouldings are okay, it's quite easy to replace the terminals with new ones. This will preserve the original look. The rubber around the connectors doesn't help much, in my opinion it's better to leave them open, but the grease the whole connector inside and outside before putting them together. These are available at VWP in both male and female types and they fit directly into the old mouldings: http://www.vehicle-wiring-products.eu/VWP-onlinestore/terminalsnonins/noninsblades.php. About the ignition lock: It is designed to switch a very large current, so if everything is okay, I don't see the advantage of fitting a relay instead. The windows are switched by a relay, however, probably because their current consumption exceeds the maximum allowable over the lock. That said, however, I will fit a 70A relay on my Murena since I've had some problems with the connections to the ignition lock getting very hot and melting. I'm going to fit a new ignition circuit directly from the battery over a high current fuse to the relay, and fit the relay under the dash. I will also fit a few new fuses for radio and auxillary power outlet for my mobile phone and GPS. My radio is in need of a better power supply, so that will help there too. Fuses are good and bad. Reliability wise, they introduce an additonal potetially weak link. But they are excellent fault finding tools. I "fell in love" with this modular unit some time ago, but recently it has moved down my wish list as the old fuse board works well enough as it is. After all, it only powers "uncritical" consumers. Parts are also available from VWP, but the product is from Ripaults AFAIK. Every carpart store are selling these. I'm sure that peugeot garage has them aswell. This must be a major step forward in fusing the headlight circuits. FJust replace the relais by this one and there is your fuse! Not this time (corrosion), because it was a short circuit that made current flow through the #10 wire and thus melting the connector. I am not re-using this one, it's too far gone. But the connectors are of such poor quality, that replacing or at least cleaning/greasing them is a good idea anyway. Please careful if you use these diagrams (1.6 and 2.2) as there are many mistakes in them. The official workshop manual wiring diagrams had mistakes in them; someone copied them and made those crude diagrams AND added more mistakes, and someone put some diagrams on a CD which Delcourt once sold, and there are even more mistakes on those! This was why I spent many hours making my own Murena wiring diagrams which also cover most variations. Did you know for instance that the first 1.6 Murena models had the instruments lit all the time the ignition was on (like the Bagheera)? They are not switched on when you switch the sidelamps on, which is why you have a sidelight warning light in the instrument panel. You need it to know when the lights are on, because the instrument lights being on mean nothing concerning outside lights unlike a normal system. There are variations not only between 1.6 and 2.2 but between early and late cars, normal French spec. and German spec. owing to different laws in those countries, and the original diagrams lack much information about the real looms. Where is the 82 ohm resistor for instance and why is it there? My diagrams include all the information and they are accurate. They are obviously only as standard so if your car has had alterations or additions, then you should keep notes of these, or whoever did the modifications should have made them. Unfortunately, often that never happens which leads to problems with the subsequent owners! At least the Murena is quite a simple car, and the wiring is easy to work out if you know electrics. 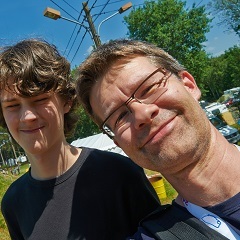 Unfortunately, the people who worked on my car (even a "Matra specialist") didn't know **** about electrics. Today, I worked hours on my car's electrical system, to repair the short circuit and the bad connections, which kept the engine from running. I have to admit: it is a very simple car to work on, once you have the car on a lift. First I started measuring voltages at the diagnostic connector on top of the engine. I bypassed the ignition switch and connected the #10 wire after the "CC6" connector under the front hood. The voltage from the #3 wire was 11,8V (the battery was heavily drained during the two months standstill as I noticed later), but the voltage from the #10 wire was only 10,8V, so there was a 1V voltage drop! I raised the car on a lift and took a look at the "MC2" connector in the engine bay. I took the male and female parts of the connectors apart and... one of the connectors literally fell apart! 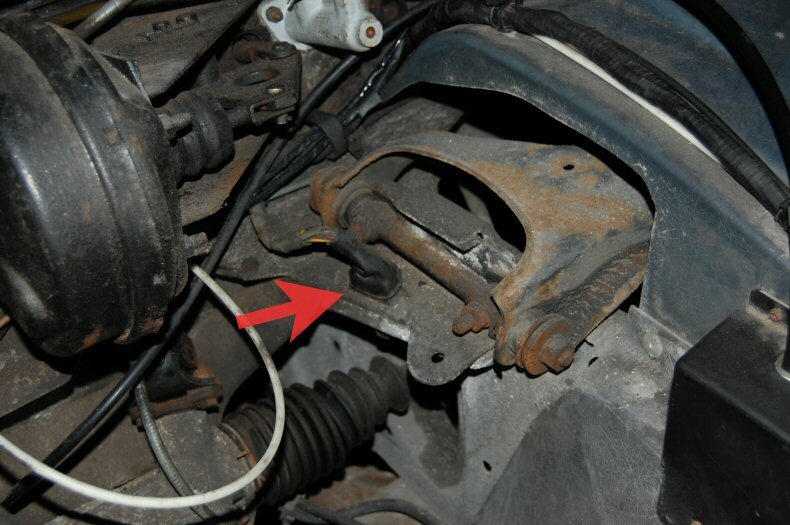 I turned out that a very crude repair has been done to the lower part of the connector (the one that goes to the front of the car) and that the wiring loom there has been left untouched after the first short circuit, two years ago. The #10 wire which was coming from the main wiring loom was almost "naked" and heavily corroded. This can only be seen from below, but it was clearly a time bomb! I ran a bypass #10 cable along the main wiring loom, from the ignition switch to the engine wiring loom. Also, I connected the #9 and #14 from the engine wiring loom to the original main engine loom. Then I tried to start the engine and it did fire once, before the battery went dead So I charged the battery a bit and after half an hour I tried to start the engine again: VRROUMMMMM!!!! Yee-haaa!!! The engine is running again! Now I have to complete the task. First, the battery charging light is still not working (and the bulb isn't broken), so I think I will directly connect the #9 wire to the generator, instead of having it running around the wiring loom. Second, I have to find a decent way to re-fit all the other wiring going through those half molten connectors. And, of course. clean up the wiring mess around the generator. ...Now I have to complete the task. First, the battery charging light is still not working (and the bulb isn't broken), so I think I will directly connect the #9 wire to the generator, instead of having it running around the wiring loom. Second, I have to find a decent way to re-fit all the other wiring going through those half molten connectors. And, of course. clean up the wiring mess around the generator. I am sure you will Robert, but be careful with the charging system. You must not bypass the 82 ohm resistor. It is necessary for the charging system to work correctly. An alternator must have a certain current to initally energise. Once charging they self energise. 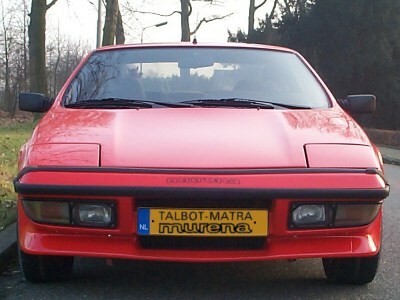 The warning light used to be large enough to provide this current, but with the newer smaller bulb that the Bagheera and Murena uses it is no longer enough. So Matra used a resistor in parallel to the bulb to provide the total current. Your list for the MC2 connector is correct. Yes, this is another of the problems with the original diagrams. Look carefully at the plug on the back of the instrument panel. Where is that 82 ohm resistor located? OK, then there is no problem, since I am only re-routing the cable up till and including the connector under the front hood. The rest of the #9 cable seems fine. I should be able to check whether the cable is good, since switching on the ignition without starting the engine should give a positive voltage to the #9 terminal. Is the 82 ohm resistor inside the plug (i.e. combined with the light bulb) or is it part of the printed circuit? I have swapped some of the light bulbs to check whether the light was gone just because the bulb was broken. No it's on the plug itself. Roy, woult you think the resistor is necessary in parallel with the bulb to get the alternator regulator started, or is it to ensure that it can start even if the bulb blows? Robert, In case the wiring is broken to the alternator, you will get charging problems. 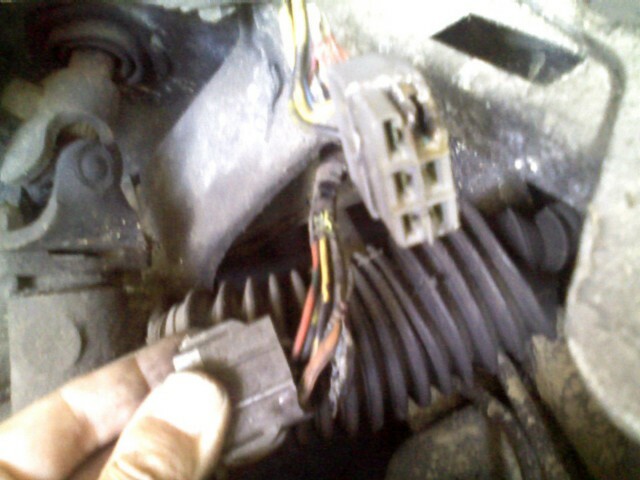 Just a thought... maybe you had the alternator replaced only because of bad wiring and not because of a problem in it? I think newer regulators are able to start even without the charge warning light not wired. I will check the resistance tomorrow with a digital multimeter, if it reads somewhere around 82 ohm (give or take 10%) it must be OK.
Hmm your story just indicates "problems"... nothing like what I thought. I think the bulb is 1.5W, i.e. about the same resistance as the resistor, and as they are wired in parallel you should get some 30-50 Ohm on your multimeter if you are measuring from the alternator.